Congratulations to Ashley Saunders on his internal promotion to Service Manager. What a day to start though, amongst the dealership refit. Good to see him taking it in his stride, as always with a smile on his face and his cheeky humour! We would like to apologise to our customers for any disruption and parking issues over the next 6-8 weeks, as we are currently undergoing a corporate identity refit. We are open as usual though. We are very excited to see all the shiny new tiles, furniture, etc., and also the installation of electric charging points. We will keep you updated! WE ONLY WENT AND WON!!!! Thanks to all our staff and customers for making Sportif such a successful business, we couldn't do it without you! We are excited to have reached the finals of The Auto Industry Excellence Awards, and are finalists for: Franchised Dealership of The Year. Thanks to all our customers for your reviews and feedback on Facebook, Google, Citroen Advisor etc., they really help us build our reputation, and make positive steps forward towards the future. We are very honoured (and super excited) to have been nominated in the Social Media Award category at the Citroen Excellence Awards. A big thank you to all our followers for their likes and interactions last year, we couldn't have done it without you. The new C5 Aircross has finally arrived at our dealership ready for its launch event 8th - 17th February... we are so excited!!! Looks stunning, even covered in frost. ...so there is something for everyone. New or used, you are sure to find the perfect Citroen. *Available on selected models. T&C's apply. Finance subject to status. ^1. The Promoter of the Prize Draw is Citroën UK Limited. 2. Entry into the Prize Draw will be made after visiting a Citroën UK dealer and enquiring about Citroën C5 Aircross SUV. 3. One entry per person. 4. Entrants must be resident in the UK aged 18 or over. 5. Employees (and their families) of Citroën UK Limited, its associated companies, its retailers and agencies, are not eligible for entry into the Prize Draw. 6. Prize: One (1) Citroën C5 Aircross SUV. 7. The Prize is non-refundable and there is no cash alternative. 8. Prize Draw opens at 06:00hrs 8 February 2019 and closes at 23:59hrs 17 February 2019. Prize Draw will take place by 28 February 2019 and the winner will be notified within two weeks. 9. Citroën UK reserves the right to amend these terms and conditions at any time without notifying the entrants. 10. By entering the Prize Draw, all entrants confirm they have read, accepted and agreed to be bound by these terms and conditions. For full terms and conditions please visit: www.citroen.co.uk/terms-and-conditions. Simon Miskin, who has been successfully running Sportif Citroën as Dealer Principal for the last 7 years, has just completed his life-long ambition by becoming Managing Director of the business. Along with his close friend James Wilmoth, they have acquired the business from John Miskin and John Boardman, who have retired after 19 years. Simon, speaking about his new acquisition, said: “My business ethos both in the past and going forward, has always been to surround myself with generally like-minded, experienced people. It has additionally always been vital to empower them to make their own decisions, even if sometimes that means them learning from the occasional mistake along the way. 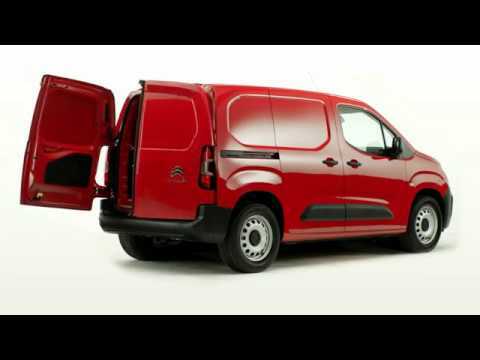 Join us on Tuesday 6th November at Sportif Citroen #Aylesbury for an exclusive preview of the New #Citroen#Berlingo#Van. Due to launch at the beginning of December, the event will give you a sneak preview of this robust and practical super van, which has already won on 'International Van of the Year 2019'. Call Lucy Leasing & Becci Business on 01296 415155 to register your interest and book your pre-launch event slot. Sportif Citroën have been recognised by Citroën UK for passing the Foundation Phase of ‘ACE Accreditation’, as part of an international programme from the PSA Group. Citroën UK recognised Sportif Citroën, based in Aylesbury, as passing the ‘ACE Accreditation’ Foundation Phase in light of improvements made to their Aftersales division. To achieve the accreditation, the Sportif Citroën management team worked alongside Aftersales experts from Citroën UK. This was on a nine-month consultancy, coaching and training programme, to maximise key opportunities within their service department based on Park Street. Our second year of supporting Live In The Park, an amazing community event full of family fun, music and food. and completely free to the general public. We had our C4 Cactus on display and had fun meeting the public, as well as getting to enjoy the live music. Another year supporting this amazing literacy event, with guests including Dame Darcey Bussell, Dame Jessica Enis-Hill and Tony Hadley, as well as an array of local authors. The annual parade from local schools and groups was also a real festival feast, another successful event we were proud to be a part of. Saturday was a scorcher in Thame, but a great time was had by all at the Barley Hill School Fete. With plenty of activities and fun for all the family we were proud to help support the PTFA with their event. One lucky lady also guessed the number of balloons correctly to win herself a £40 bottle of wine, kindly donated by the Black Horse. Another crown for the Citroën C3. Citroen C3 Wins Driving Instructor Car of the Year at FirstCar Awards 2018 David Motton, FirstCar’s Editor, said; "The C3 is a car that instructors will enjoy driving and their pupils will be excited to learn in. Not only is it a characterful and stylish car, it has a long list of safety equipment as standard. Useful innovations like the built-in personal safety camera help the C3 stand out in a competitive field." Are you a driving instructor? Want to know more? Call Lucy Leasing & Becci Business at Sportif Citroen on 01296 415155 for more details. This is an amazing charity and we hope our support will help raise lots of money and awareness throughout the year. Some of our team are already signing up to take part in fundraising events, so keep an eye on our facebook page for details. We'd like to give you the only opportunity to see NEW CITROËN C3 AIRCROSS ahead of its official launch in November. Unique, energetic and confident, combining the space and comfort that Citroën are known for with a distinct, ultra-modern SUV design - NEW CITROËN C3 AIRCROSS is perfect for cityscapes and country escapes. Don't miss this exclusive preview event. UPDATE: Thanks to all those who attended the event, was great to hear such positive feedback about the model and look forward to its official release in November. Orders now being taken. Whether you are looking for a car this month, or forward planning for a new 67 plate registration in September, we would like to invite you to join us and grab yourself a great saving on your next car. When you visit you will get to select a mystery box to open and reveal your own personal event special offer. With used cars available from £2995 and brand new cars from only £129 per month, this event is not to be missed. Do you feel lucky? Call our sales team today on 01296 415155 to book your appointment. *T&Cs apply. Offers are dependent on vehicle and the savings amount will vary between different models and screen prices. £8000 saving is available on DS4 Crossback, RRP £31978 before saving. Interest free credit is subject to credit acceptance, and term varies between vehicle. 50% deposit required to qualify for 0% finance on used cars. Used car savings are up to £500 off screen price on selected vehicles. Contact Sportif for full details on 01296 415155. Lucy Leasing goes on maternity today, good luck lovely. Can't wait to meet your new little man in a few weeks. We'll miss you. Wow what a whizz fizzing fun day, after that stunning parade there was so much more fun to be had. We got to enjoy the hilarious Julian Clary workshop with his amazing illustrator #DavidRoberts, had tea with a tiger at Bucks County Museum and Roald Dahl Children's Gallery and finally a cooking lesson with Katy Ashworth, and that was just a snippet of what was on offer. 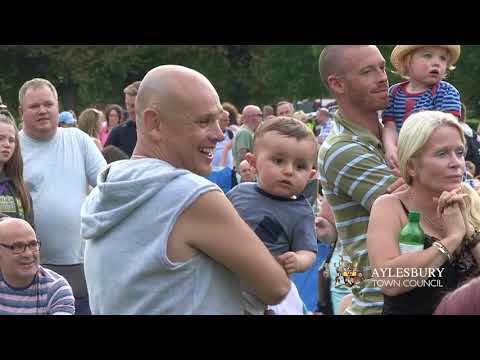 Thanks to everyone who made this event happen, especially AylesburyTown Centre Partnership. Count us in for next year!!! We are pleased to be a part of this amazing #Aylesbury event inspired by the work of #RoaldDahl, and proud sponsors of the author's marquee. Get your early bird tickets now... it is always a fun filled family day and sure to be even bigger and better this year. Spot our #RoaldDahl inspired car to win! To celebrate the upcoming WhizzFizzFest in #Aylesbury this July we are running a competition to win a signed copy of a Julian Clary children's book, in association with Aylesbury Town Centre Partnership. To enter, all you have to do is like our FB page and comment with the location of where you have spotted the car (the winner will be drawn at the end of June, so don't worry if you miss it, it will be appearing in different locations throughout the month). Today's is an easy spot to get the competition rolling. Good luck everyone!!!! Winner will be picked at random and announced on Facebook on 25th June 2017. Proud to receive our #DementiaAlliance membership from the #AylesburyTown Mayor this morning. Lots of great organisations here this morning, pop by to Aylesbury Library today to find out more. *3 years’ FREE SERVICING package available on all DS models ordered 06-12/03/17 and registered by 31/03/2017 with Elect 4 Personal Finance Lease or Elect 3 Personal Contract Plan if car ownership is required. Not available to cash buyers. Offers apply to qualifying retail and small business customers only. Terms & conditions apply. Please ask us for details. Subject to stock availability. †Full details and terms and conditions of the competition can be found at https://www.dsautomobiles.co.uk/pariscompetition. This weekend our customers got to enjoy a car sale with a difference, with a Mad Hatter's Tea Party theme. With cakes and amazing sale prices, everyone enjoyed the experience and walked away with a great deal. Thanks to all that attended and a big well done to our team for making it such a success. In true spirit of the Business Centre, Lucy Leasing and Becci Business were out for Valentines Day promoting the Citroen/Sportif Brand in their very own Love Bus! With balloons, roses and chocolates, they were bringing smiles to the people of Aylesbury. We held a special C3 preview on Tuesday 15th November for the new model which is due for release in January next year. As you can see it is a real head turner, and had great reviews from everyone who saw it. We can't wait for it to arrive on our forecourt... pre-orders being taken now. We were extremely proud to be sponsors of the Paralymic Heritage Flame Celebration in Aylesbury on Friday 2nd September. We were thrilled to be involved with such a historic community event and some of our team even had the responsibilty of helping keep the torch alight! Great fun was had by all with a carnival, accessible fun fair, dancers and more, all finished off with a stunning firework display. Some of our lucky customers even won Golden Flame tickets, allowing them to pass the lit torch along its journey. On Friday 5th August we held our VIP night for the limited edition Givenchy Le MakeUp edition of the DS3. With makeup artists, bubbly and canapes it was a night of luxury for our customers. From the positive feedback, we believe the night was enjoyed by all, and I am sure the Givenchy makeup goody bags helped too. Friday 29th - Sunday 31st July was our local Beer Festival at Aston Clinton. Proud to be sponsoring the event (and promoting Don't Drink and Drive) we enjoyed some lovely warm sunny weather with lots of local people attending the 3 day/night event. Showcasing the new Cactus C4 Ripcurl along with a C1 promoting Simply Drive, we had something to suit all ages.